The cardiac intensive care unit (CICU) is currently seeking applications from dynamic, motivated and enthusiastic staff nurses at band 5 to join our friendly and supportive team. We offer you a unique opportunity to work in a specialised intensive care unit to gain clinical expertise and professional growth for your career caring for patients who require routine post-operative care, emergency admissions, complex multi organ support and adult congenital patients. CICU is renowned for our local and national contribution to critical care and for consistently delivering high standards of clinical care. This is reflected in our recent CQC report where critical care was rated as “outstanding” and cardiac intensive care being ranked 3rd in the country for patient outcomes. University Hospital Southampton (UHS) is a designated major trauma centre and has general and specialist Critical Care areas which were awarded ‘outstanding’ for leadership in our recent CQC inspection in which the Trust overall rating was ‘Good’. We are committed to role development, providing an excellent opportunity to gain a rewarding career within critical care. The critical care education team provides structured support to all staff and run development programmes that are well established. Our formal education package follows a structured career pathway which includes induction training and an in-house foundation to critical care nursing programme. All staff follow a nationally recognised competency package. There are opportunities to apply for the principles in ICU course at both degree and masters level. For those wishing to develop their leadership and management skills post ICU course we are able to offer a shift leadership programme. Successful applicants have the opportunity to actively participate in critical care issues at trust, national and at an international level. The varied and complex case mix and the commitment to developing our roles in a visionary manner make this an excellent opportunity to gain a rewarding career within critical care. As a Band 5 Staff Nurse you will have recent post- registration experience within an acute setting. You will be required to provide a high standard of individualised patient care, in accordance with agreed policies and within available resources, which has the Trust core values at its heart. You should be able to demonstrate the aptitude to work in highly pressurised situations with maturity, motivation, enthusiasm and common sense. 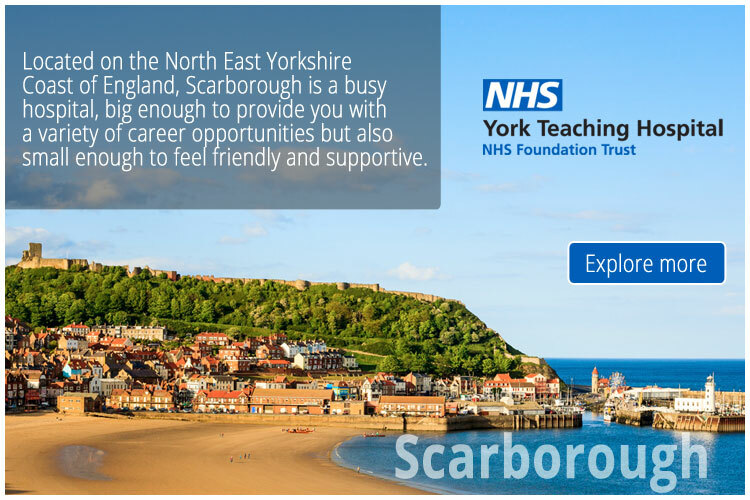 You will be committed to working flexibly with the collaboration of an established team and will develop your critical care skills to become a competent member of the nursing team who care for critically ill patients in a complex and challenging environment. Informal enquiries and visits are welcomed and encouraged. Closing date for applications will be Friday 22 February. Interviews for this position will take place on Wednesday 6 March.